The kids are back to school, summer holidays are pretty much over, now you have some time to sort out all of those little jobs! Have you considered reviewing your insurance cover? 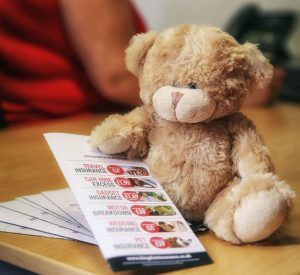 There are lots of things that change throughout the year, but when that renewal notice drops through your letterbox, have you remembered to tell your insurance company? Maybe you’ve booked your holiday for next year, had a new kitchen fitted or ordered a new 65 plate car? Most households will have policies for buildings and contents, car, travel and possibly pet insurance and if you have your own business, then you should probably have cover for that too. Home rebuild value – you may have an automatic amount, but if your premium is based on the actual reinstatement value of your house, then you will need to increase cover if you build an extension or add solar panels, anything that increases the cost to rebuild like-for-like. Include cover for items taken out of the home: e.g. mobile phones, jewellery, bicycles. It is generally cheaper to add to your house insurance than take out separate policies. If you have another property which is let out, it can’t be insured on a home policy, you will need a Property Owner/Landlord policy to provide the correct cover, including liability and Loss of Rent. Running a business from home – insurers need to be advised; to cover any stock at home or for customers visiting your home, if they injure themselves they could sue you. Car usage – you may have cover for commuting on your policy, but if you travel around to see different customers, then you require business use. Commuting is generally deemed to be travel to and from one place of work. Travel – many people have cover through their bank, but be aware of exclusions for any medical condition for which you have received “medical advice, treatment or medication” in the past two years? Be aware that insurers have the right to decline a claim if you haven’t correctly informed them of your circumstances. This is where a broker can help, as they know which details insurers require and will ask the right questions. There is no point in getting a cheap premium if you can’t claim on the policy!